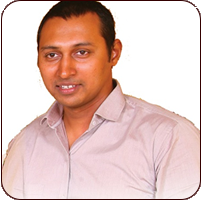 Malla Reddy Engineering College (MREC) was started in the year 2002 under the Chairmanship of Sri.Ch. 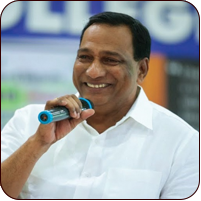 Malla Reddy, M.P, who has vast experience in providing high quality technical education, on par with premier Institutions like NITs and IITs in the country. 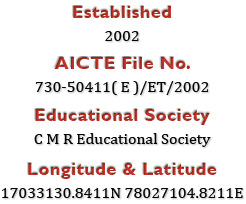 MREC was started with the approval of AICTE, New Delhi and is affiliated to JNTUH, Hyderabad. The college is situated in a serene, lush green environment on Kompally- Bahadhurpally Road, opposite to Forest academy, R.R.District, Telangana State. MREC is now an accreditated institution by NAAC with ‘A’ Grade. The Institution has high quality infrastructure and well equipped laboratories in all departments. The college achieved autonomous status under JNTUH w.e.f 2011-12 and also conferment of autonomous status by UGC from 2014-15 for a period of 6 years. MREC Professional Education forms the first and foremost foundation for the students to achieve higher goals in life and covering various streams of Engineering & Technology and Management. 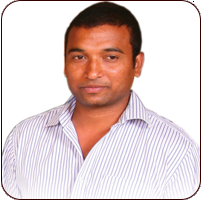 Dr.S.Sudhakara Reddy is the Principal of MREC, with rich teaching and industrial experience of almost three decades.